Michigan began recruiting Bielfeldt in earnest after the holidays. Coaches from the Wolverines staff have attended a handful of Irish games, with the scholarship offer coming from Michigan head coach John Beilein last week. Bielfeldt said he had the offer from Michigan when he made an official visit to Illinois on Feb. 26. He was asked by Michigan, however, to keep it quiet until Beilein could inform other recruits they were no longer in the Michigan picture. 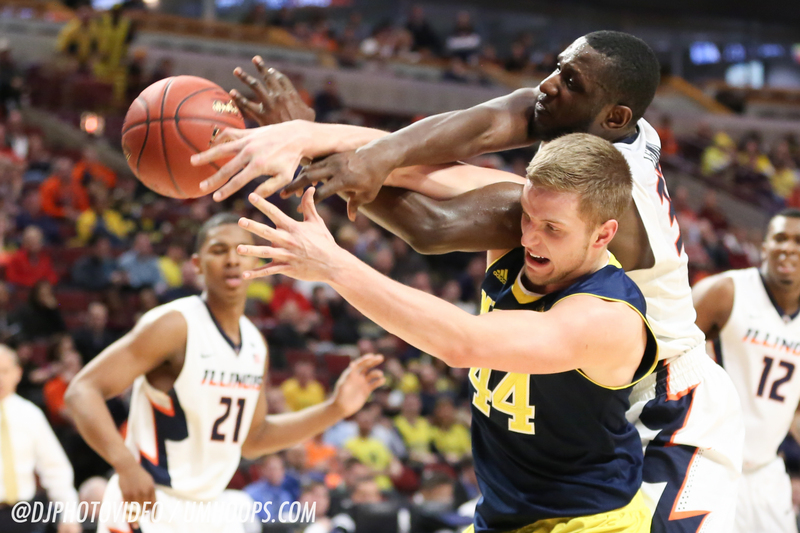 “Initially, Michigan wasn’t going to offer until after the season,” Bielfeldt said. “But I guess when I got an offer from Illinois, it changed their time table. Bielfeldt confirmed that this development made Illinois and Michigan the only two schools he is now considering. He didn’t give a timetable for any decision, however, saying that he still wants to make an official visit to the Ann Arbor campus before he decides.